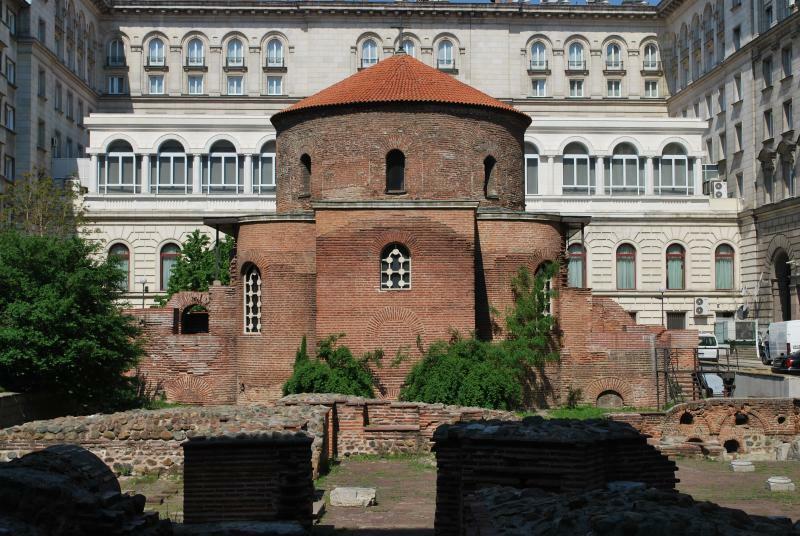 Bulgaria’s capital city is among the youngest capitals, being at the same time one of the oldest cities in Europe.The late Antiquity basilica “St. Sophia”, dedicated to Divine Wisdom, gave the city its name. Constantine the Great had a palace here and loved to say: “ My Rome is Serdica”. (That was the city’s name in the 4 c. A.D.) Your city tour will be a pleasant and enlightening travel back in times. Our guide will let you discover Sophia at your own pace, feeling the spirit of this ancient city. You will see for yourself why the city’s coat of arms’ motto is “It grows, but never ages”. 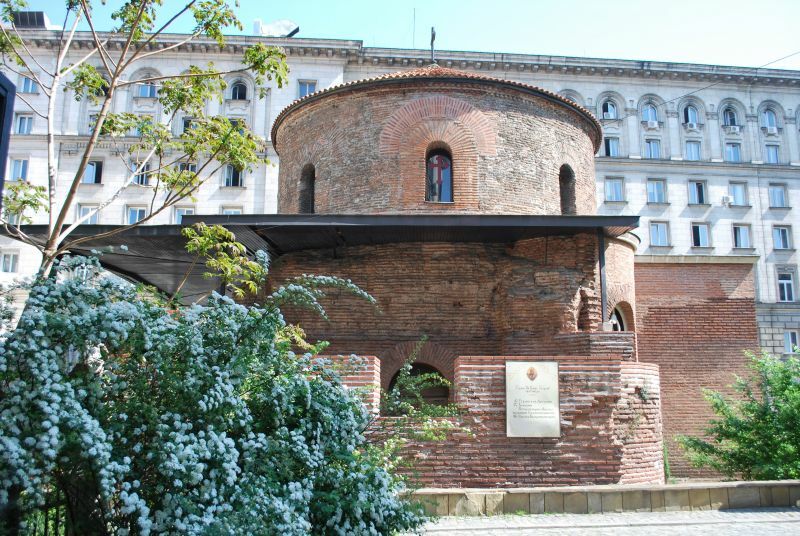 Enjoy a walking private sightseeing tour of Sofia with a focus on Jewish Heritage in Bulgaria. Visit the Synagogue, the Jewish History museum .Tour of the city includes also a visit to the Roman ruins and the Rotunda of St. George, the impressive Alexander Nevsky Memorial Cathedral, Basilica Hagia Sophia. On the north side of the building you will see a monument, dedicated to the saving of Bulgarian Jews in World War II. Tour duration – 3, 5 hrs. Rate – 55 EUR /110 BGN/per person. Valid for minimum 2 persons per booking. In the morning our guide will show you all Jewish sites in Sofia.Today you will be introduced to the story of real people who helped save Bulgarian Jews. Drive to Kyustendil and visit Dimitar Peshev's museum. Dimitar Peshev, as a vice-chairman of the Bulgarian Parliament, played an important role in the dramatic developments in 1943. 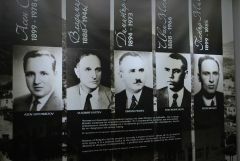 The museum was opened on March 9, 2003 on behalf of the 60th Anniversary of Kyustendil action for saving Bulgarian Jews. Proceed to Samokov (1,5 hrs), enjoy the beautiful landscapes of fertile planes at the foot of high mountains (Rila, Osogovo). In Samokov visit the Arie's House and feel the atmosphere of every-day life of a rich Jewish family. Since the arrival of the rich Arie family in 1793, the Jewish community in Samokov gained great importance. Samokov now is a quiet town at the foot of the Rila Mountains, known mainly for its potatoes and its proximity to Borovets mountain resort. It looked totally different 150 years ago, when over 120 Jewish families lived in the large Jewish neighborhoods. En route back to Sofia, stop over in Borovets mountain resort. Tour duration - 8 hrs. Rate - 120.EUR/240 BGN/ per person for a party of 2-3; 90.EUR /180 BGN/ per person for 4-5 persons. Enjoy a half-day sightseeing tour of Sofia, a pleasant city of boulevards and open spaces and see the city’s most important places of worship – Alexander Nevski Memorial Church and St. George Rotunda. Walk along the main streets and see the most important landmarks in the city centre - St.Nedelya Square and St. Nedelya Church, St. Petka of the Saddlers, the Synagogue, the Central Baths, the Mosque, the underpass outside the President's Office, Alexander Battenberg Square, the National Theatre, the former Royal Palace, the Russian Church, St. Sophia Church and the Monument to the Unknown Soldier. Your guide will make you feel the atmosphere of this city which history dates back to the ancient times. Tour proceeds with panoramic sightseeing of the National Library, Sofia University, Borissova Garden, and the National Palace of Culture. 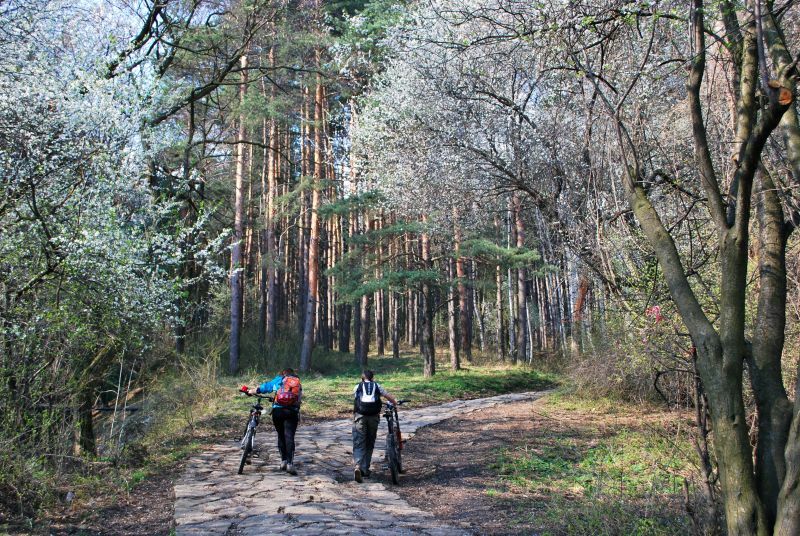 Drive to the Vitosha Mountain –Sofia’s outstanding natural landmark. With its highest peak – Cherni Vrah (Black Peak altitude 2285 m), pine forests, alpine meadows and colourful moraines, it has become an integral part of Sofia and its inhabitants. Vitosha is invaded every Sunday by hikers in summer and skiers in winter. 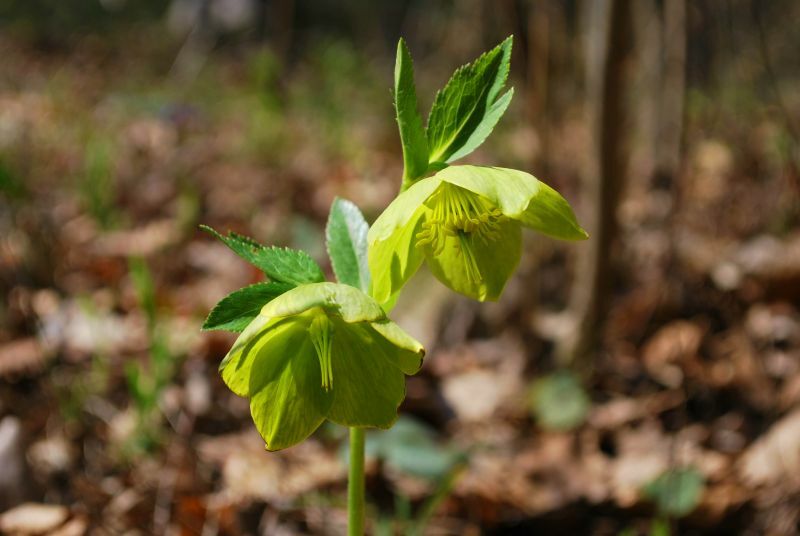 You will admire the views and enjoy the fresh clear mountain air while taking a short walk in the forest. Drive to the city centre where tour ends. Tour duration - 5 hrs. 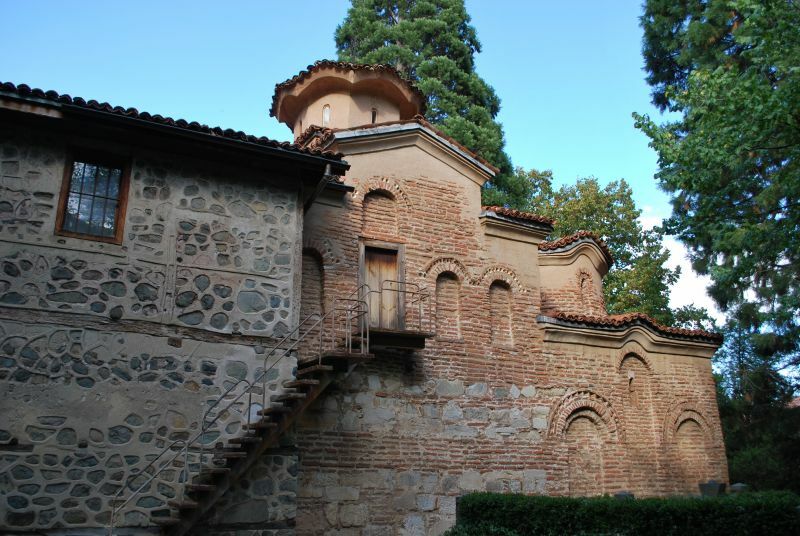 Located above the Strouma River, about 80 km south-east of Sofia, the Zemen Monastery was built completely different from both the official Byzantine style and the other official Tarnovo School in view of its architecture and interior paintings. The roof – a four-wall squashed pyramid with a cupola atop a cylindrical drum, decorated by two rows of blind arches is unique in the entire Balkan Peninsula. The Monastery owes its fame to the interesting architecture (11th century) and mostly to the remarkable 14th century frescoes. However, the first layer of painting is dated to the second half of the 11th century ( St. Anna). Entrance fee to museums and sites, as per programme – (5,50 € /11 BGN p.p.). 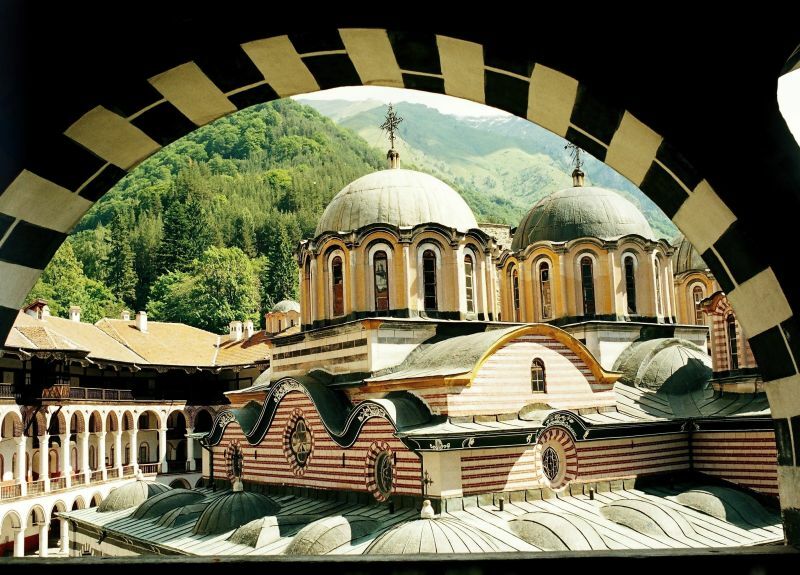 Rila monastery is located some 120 km to the south of Sofia, in the heart of the Rila Mountain. 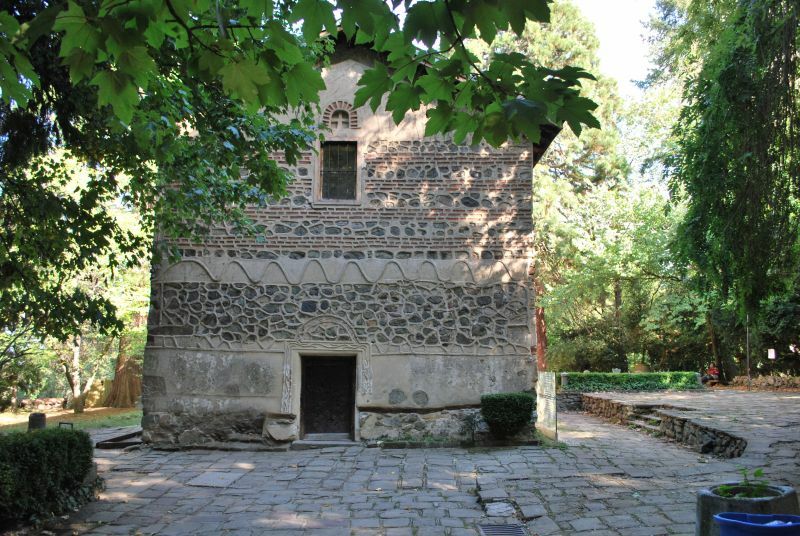 Founded in the 10th century, it has been the biggest spiritual and cultural centre in Bulgaria for hundreds of years. On a number of occasions it was destroyed and burnt down, only to rise again like a phoenix from the ashes. The visitor’s first sight of Rila monastery huge towering walls gives the impression of a fortress. However, a step through the archway produces a wonderful surprise. Visiting the Monastery is a must. 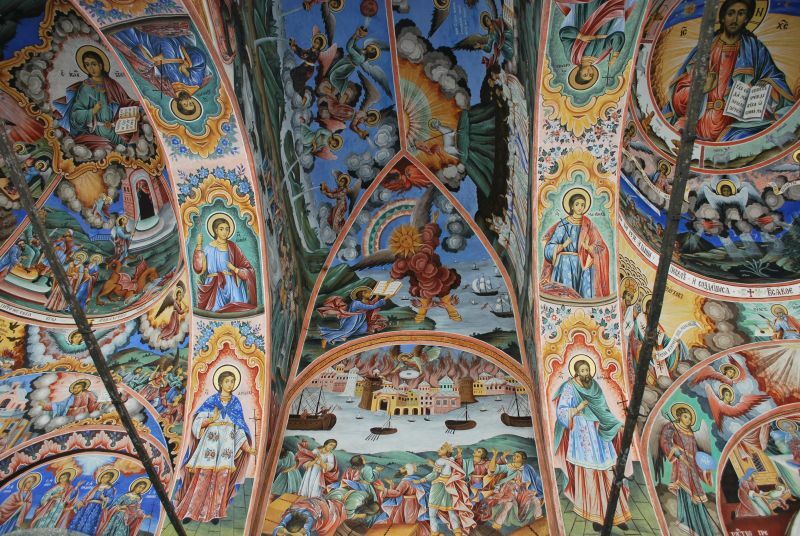 The Monastery’s unrivalled architecture and murals will captivate you. The Rila monastery is the largest in the Balkans and included in the List of World Cultural Heritage. Tour of the monastery includes a visit to the Monastery Church, which is of particular artistic value, for it was adorned by the foremost 19-century masters of the Samokov, Bansko and Debar schools of painting and woodcarving. In the Monastery’s museum you can see the famous woodcarved Raphael’s cross. It took monk Raphael 12 years to finish the cross with its 140 biblical scenes and 1500 human figures, not larger than a grain of rice. In the afternoon drive to Sofia where tour ends. Entrance fees to museum - (4.50 € /9 BGN p.p. ).Valid for minimum 2 persons per booking. Koprivshtica is a museum town of Bulgarian National Revival architecture, a town where the past seems to come alive. Situated at an altitude of some 3,000 feet above sea level amid lovely meadows and pine forests, the town has long had a magnetic appeal for tourists. Tour of the town (mainly on foot) includes visit to the beautiful old Bulgarian-style houses of Lyutov, Debeljanov, and Kableshkov, which will fascinate you not only with their original architecture but also with their interior 19-century decoration and furnishing. Every single house here is part and parcel of Bulgaria’s history. It was here that the first shot of the April Uprising against Ottoman rule rang out in 1876. Although drenched in blood, the uprising resounded in all of Europe. 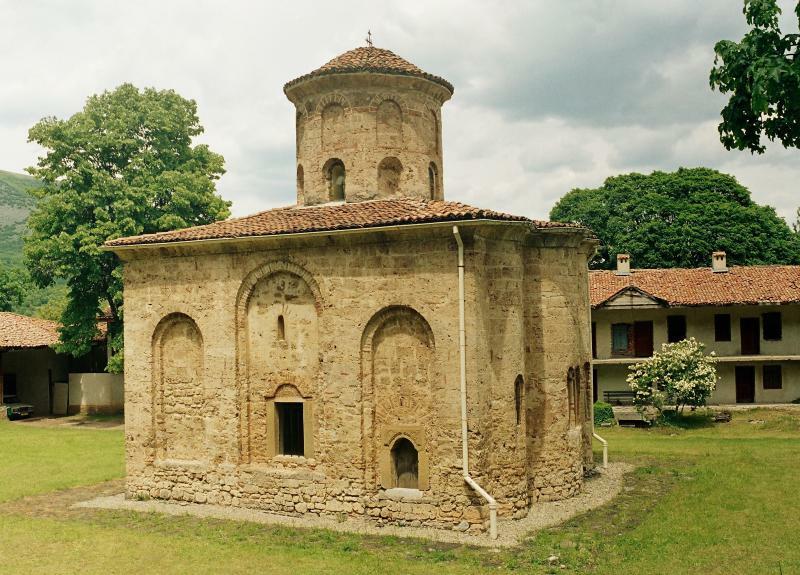 It is a miracle that Koprivshtica itself was spared destruction and survives in its original appearance. Drive back to Sofia in the afternoon. Entrance fees to museums and sites - (approx. 3.€ /6 BGN/p.p.). Bulgaria’s second ranking town, Plovdiv, is a worthy rival to Sofia. Its location astride the river Maritsa, and its six hills, which are prominent features on the Thracian plane, indicates the strategic significance of the city. It is one of the oldest and most colourful towns in Bulgaria. No one can tell exactly when the foundation stone was laid here, although it must have been over 5000 years ago. 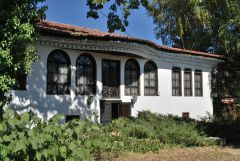 Old Plovdiv on Trimontium hill is the centre of Bulgarian national revival architecture at its height. You will enjoy a tour including a visit to the Old Town, the 2000yrs old Roman Theatre; the Byzantine and medieval fortifications, the 15th century mosque. Walk along the narrow cobbled streets and admire the silence and tranquility of this historic town. In the afternoon drive to the Bachkovo Monastery – tour of the monastery, founded in the 11th century. 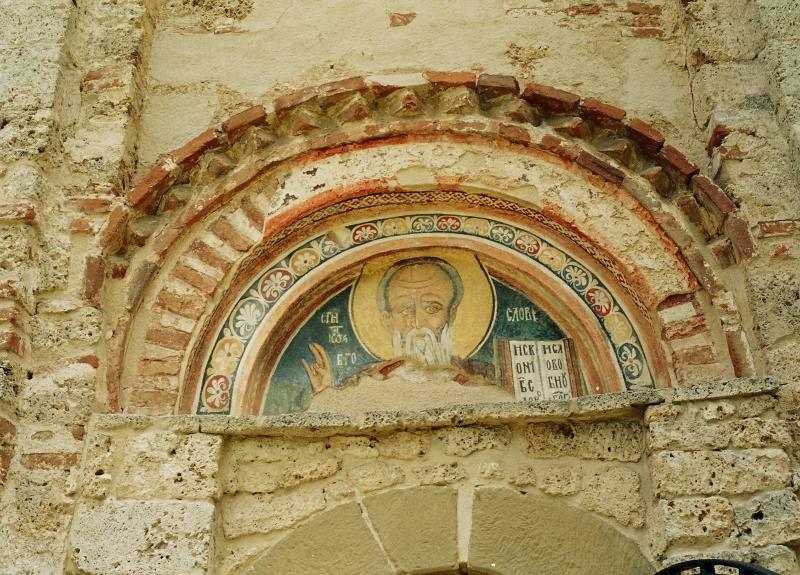 Bachkovo Monastery is valuable primarily for its ossuary and its church, in which 11th to 14th century frescoes are preserved. Late afternoon drive back to Sofia where tour ends. Entrance fees to museums and sites, as per programme - (approx. 7.€ /14 BGN p.p.). Nis is the second largest city of Serbia (268,000 inhabitants). Considered a gateway between the East and the West, Nis is also one of the oldest cities in the Balkans. The town was named after the Nišava River. The Celtic named it Navissos. Each new conqueror gave the town a new name: Roman Naissus, Byzantine Nysos, Slav Niš, or German Nissa. Naissus,or the presend day city of Nis, is the birthplace of Constantine the Great, the first Christian Roman Emperor and the founder of Byzantium, was born here (274 AD). To accommodate his frequent stays in the Balkans (317-334 A.D.), Constantine erected a spectacular palace in Mediana, one of the luxurious supberbs of ancient Naissus. The residence was built with thermal baths, a granary, water supply system and aqueduct. It was lavishly decorated with colorful marble and geometric mosaic floors. Start at 09 a.m. for a drive to Nis 170 km (2.5 hrs from Sofia). Cross the border to Serbia at Kalotina/Dimitrovgrad. Your guided sightseeing tour of Nis includes a visit to Mediana, the residence of Roman emperors, built in the suburb of the antique Naissus, the Cele Kula ( Skull Tower), commemorating the Battle on Čegar Hill (1809). Walk downtown and see the King Milan Square, the monument of Alexander Karageorgevich ,( Karađorđević) also known as Alexander the Unifier and the Fortress of Nis. Enjoy the old part of the city, visiting the Tinkers Alley, once a famous craftsmen street from the beginning of the 18th c, with the monument of the famous Serbian writer Stevan Sremac, who lived here from 1879 to 1892. You will have some free time to discover the city’s secrets on your own, have a coffee, or a drink at one of the famous coffee shops. At 4:30 p.m. drive back Sofia, where tour ends.